Shipping your exhibit, promotional items, or your product can be time consuming and stressful. Working with the right partner is the key to a hassle-free experience. 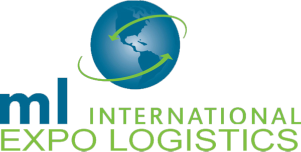 Founded in 2005, ML International is a freight forwarder that specializes in shipping to trade shows and special events. Through our network of agents and partners we operate in every major city around the world. ﻿﻿Contact us with questions about shipping to NTERSOLAR EUROPE 2015 or to request a quote. ​I have never considered sourcing another shipping service." In need of special services or equipment? No problem. We handle it all. Van Line logistics type trucks with load bars, straps, pad wrapping, etc. Flat bed trucks for odd sized freight.